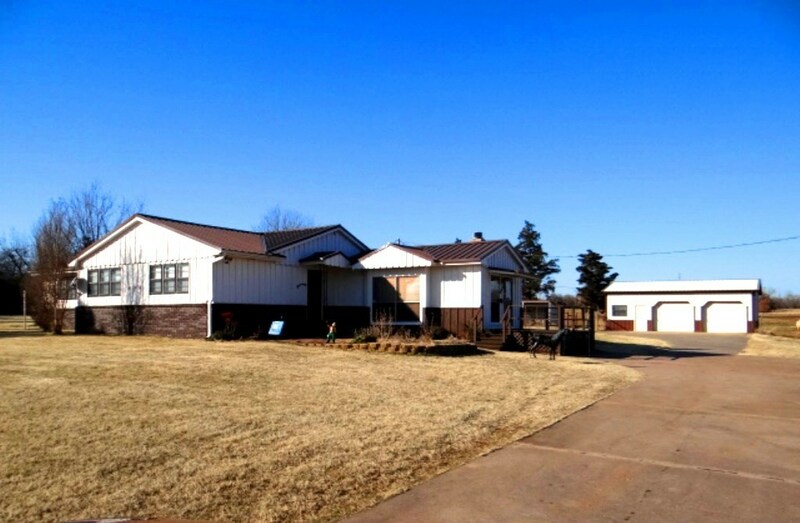 CALL SANDY @580-467-0918 TO SEE THIS GREAT COUNTRY PROPERTY WITH 5 ACRES AT THE EDGE OF DUNCAN! 2 SPACIOUS LIVING AREAS - ONE WITH WOOD-LOOK TILE & FIREPLACE. KITCHEN WITH WOOD-LOOK TILE, EATING BAR, PANTRY, ALL APPLIANCES, & DESK. MASTER BEDROOM HAS JETTED TUB. 30&apos; X 22&apos; INSULATED METAL SHOP/GARAGE! 12&apos; X 20&apos; TOOL SHED & HORSE SHED. BEAUTIFUL FENCED ACREAGE READY FOR HORSES OR CATTLE. PLATO GRADE SCHOOL DISTRICT. GREAT LOCATION AT THE EDGE OF NE DUNCAN.